My father’s family has lived in the same little town in the same house for the last one hundred ten years, and my Grandmother has the Christmas tree to prove it. 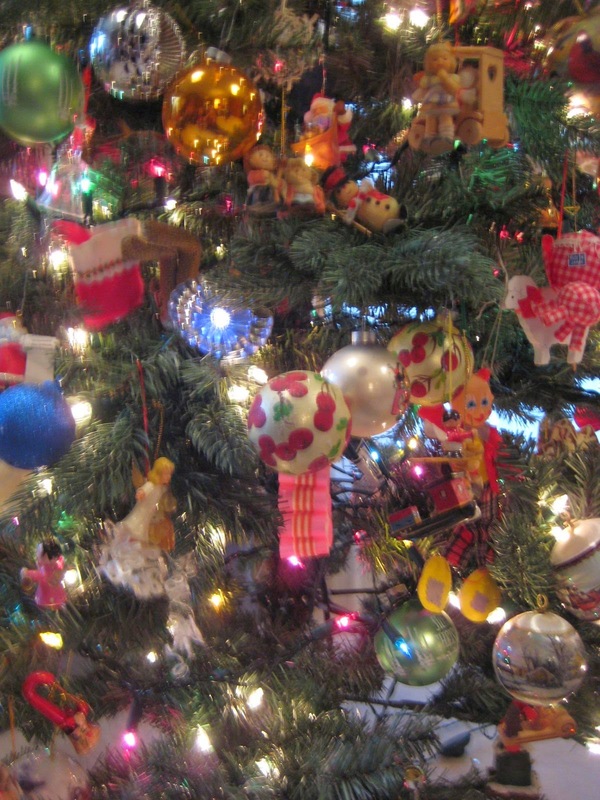 Her poor little tree is dense with ornaments, sometimes three or four deep on a single branch. Even so, there are still four big boxes in the basement that won’t be displayed this year. 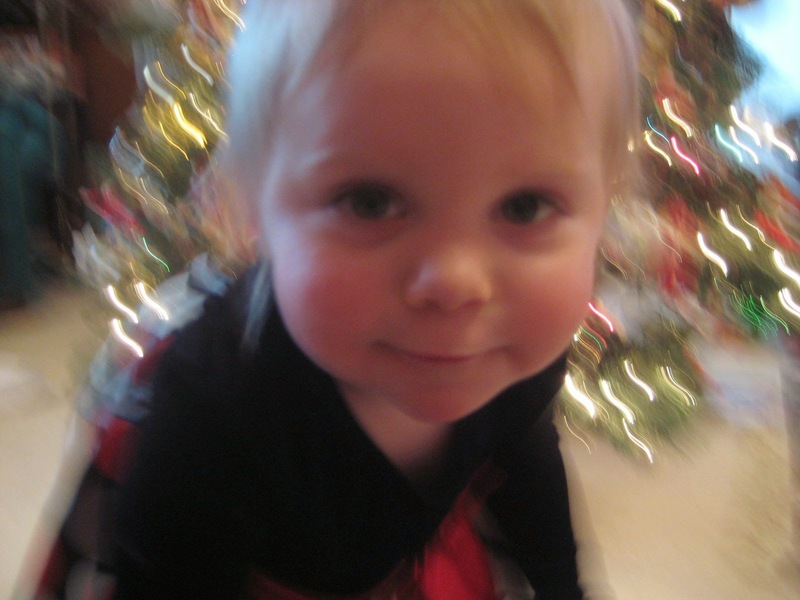 To my eighteen month old daughter Mary Claire, Grandma’s tree is a kind of miracle. We were worried that she would attack the tree with her usual exploratory gusto — grabbing at Grandma’s treasures and attempting to eat them, likely destroying them in the process. But without saying a word, Mary Claire approached the tree for the first time slowly, tentatively – even reverently – and just stared. After a couple of minutes, she squealed with delight, toddled closer to the tree, and pointed to a little stained glass wren. Grandma lovingly removed the ornament from the tree, and recalled that she had received it half a century ago from a dear family friend who had passed away later on that same winter. “What about this one?” I asked, pointing to an ancient ornament with a foil pinwheel that spun from the heat put off by the tree lights. “My own mother brought this with her from Minnesota for her first Christmas as a new bride out on the prairie,” Grandma said. Next, Mary Claire found a Thumbelina doll, nestled in half a walnut. “Your mother made this one for me when she was a little girl,” Grandma explained to my daughter. Though it may be tempting to write off Grandma’s Christmas aesthetic as merely cluttered, I began to appreciate the way her tree, bedecked with its “jewels”, carried with it the inexhaustible richness of our family’s story – a story that bound us to one another and to our place through the love we’d been given to share. Though she certainly can’t articulate it yet, my own daughter must have some intuitive sense of this love, a sense that prompted her to approach Grandma’s tree with wonder, awe, and delight. My daughter finally did help herself to an ornament on Grandma’s tree, - a cut-metal silhouette depicting the Holy Family that first night in Bethlehem. She turned the ornament over in her hand, and smiled as though she had some private little secret. Then she smiled at me. Truly, it is the Christ-child who reveals the love that is the heart of every human story. It is His love that inspires in us wonder and delight as it is revealed anew in every generation. I thank God for the chance to encounter him through the babe in the manger, and through my own baby at the foot of my Grandma's tree. 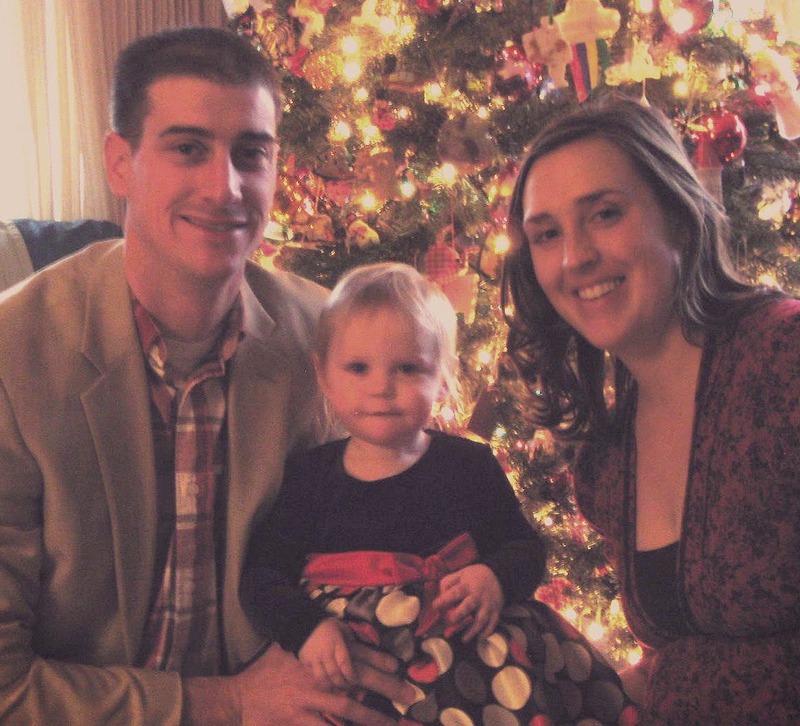 Katie Vidmar is a 2010 graduate of the JP II Institute, and resides in her ancestral homeland with her husband Jeremy and daughter Mary Claire.